Even though it’s an art form that has been around for centuries, ballet remains a mystery to many people. There are many misconceptions about the graceful and elegant dance practice. Joan Garrett Dance Arts Studio in Newark, OH, provides a variety of dance classes including ballet, tap, and jazz. Here, the staff sheds a little more light on ballet. 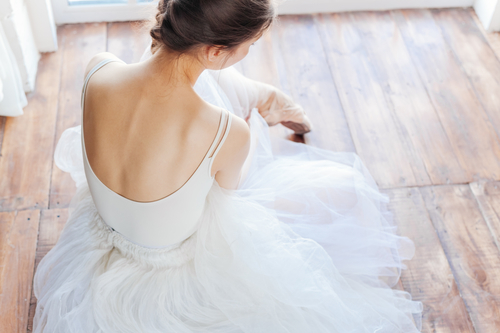 Beginning in Italy in the 1400’s, the first ballet bears little resemblance to what we see onstage today. Catherine de' Medici is credited with the popularity the art form enjoyed in 15th century Europe. While graceful moves were employed, greater emphasis was placed on ornate costumes and elaborate plots. Over time, individuals drawn to the dance style committed time and energy to becoming highly trained performers. Many people are unaware of the many different variations within the dance form. Russian, French, and American choreographers and teachers all influenced the practice in unique ways. Classical ballet methods include Cecchetti and Royal Academy of Dance, while more contemporary movement is highlighted in the work of American choreographer George Balanchine. The amount of calories a ballerina burns depends on their size, but it is estimated that they can burn up to 405 calories an hour. In addition to being a great cardiovascular workout, it also increases flexibility and balance. The intricate movements require great focus and attention to detail, making it a great mental exercise as well. If you’re looking for a wonderful way to stay fit while engaging in a beloved art form, sign up for ballet classes at a dance studio. Joan Garrett Dance Arts Studio in Newark, OH, is the top choice for budding dancers in the area. Students learn skills integral to performance and develop poise and confidence while creating lifelong friendships. To learn more, visit their Facebook page or call (740) 344-8789.